Rent control is out of control – don’t you feel that way? If you have property in a rent control/ stabilized city, you have increased governmental regulation and interference, rental unit registration requirements, percentage limitations on annual rental increases, and other bells, whistles, and rules to follow. Also, there are specific grounds for eviction delineated by local ordinance. In some cities like Los Angeles, there is an ordinance called REAP which stands for “Rent Escrow Account Program.” According to the City Housing Department’s website, units are subject to inspection fees, and periodic inspection. If a City, County, or State agency determines and issues a citation and notice to comply with an order to fix a substandard or uninhabitable condition and you don’t comply, you can be placed into the REAP program. The REAP program is kind of like a city imposed receivership. The city takes over your rental cash flow until you remedy the alleged violation. The Rent Escrow Account Program (REAP) exists to resolve the most persistent health & safety, and habitability issues found in rental properties in the City. In addressing these issues, the goal of REAP is to help reduce blight, protect tenants from living in substandard housing, increases the life of the useful life of rental properties, and helps preserve the City’s valuable affordable housing stock. According to the City, REAP encourages owners to make repairs and maintain their property in a safe and habitable condition. Tenants of affected units are given a 10% to 50% rent reduction depending on the nature and severity of the violations cited. Tenants have the option to pay their reduced rents to the landlord or into an escrow account managed by the Department. If eligible, you may request funds from the escrow account for a variety of specific uses including to make repairs, pay utilities, or for relocation assistance. Other resources are available as well to assist you with REAP. Properties accepted into REAP will remain in REAP until all violations cited by the Department have been cleared, and all requirements for removal have been met. Once all requirements are met, the Department will recommend that the City Council authorize the Department to remove the property from REAP. So if you don’t want increased regulation, then don’t invest in a rent stabilized municipality. If you do, then follow the ordinances and rules so you are in compliance. Finally, I believe it is important to have an awareness of the local, state, and federal political climate as it pertains to investment real estate. You should actively participate in the political process to the extent you can. For example, a California Assembly Bill, AB 1506 (BLOOM), was introduced in February of 2017, and aims to repeal the Costa-Hawkins Act, which currently prevents cities and counties from adopting extremely restrictive rent control policies. 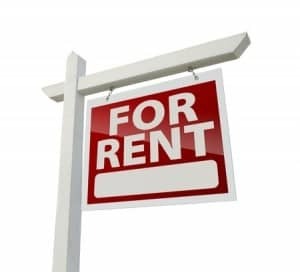 The Costa-Hawkins Act was adopted in 1995 to curb extreme rent control, enabling property owners to raise rents on vacant units during a time where strict rent control laws were in place across California. If passed, this repeal would heavily affect the rental industry as it encourages local government to fiercely control rental rates and evictions. Read the newspaper, attend town hall meetings and apartment owner’s conventions, and write to your elected officials. More than ever before, grassroots activity and advocacy is increasingly effective in local, state, and federal politics, and politicians are feeling the heat of advocacy. You should know what is going on in the city and state governments and the areas in which you invest. Although bribes of local officials and inspectors are not kosher and when will could give you the choice of a purple or orange jail jumpsuit, I believe that political donations to political campaigns for PACs within ethical and legal limits can be a positive investment to get access to political leaders with power. You may be able to influence the political process in a way to protect your investments and your local community, and to influence outcomes to benefit your own real estate interests. Copyright 2017 Nate Bernstein, Attorney at Law. LA Real Estate Law Group. All Rights Reserved. The author of this article, Nate Bernstein, Esq., is the Managing Counsel of LA Real Estate Law Group, and a member of the State Bar of California and his practice concentrates in the areas of complex real est ate litigation, commercial litigation, employment law, and bankruptcy matters. The contact number is (818) 383-5759, and email is natebernstein44@gmail.com. Nate Bernstein is a 22 year veteran Los Angeles real estate and business attorney and trial lawyer. Mr. Bernstein also has expertise on bankruptcy law, the federal bankruptcy court system, creditor’s rights and debtor’s bankruptcy options. He previously served as Vice President and In House trial counsel at Fidelity Title Insurance Company, a Fortune 500 company, and in house counsel at Denley Investment Management Company. Nate Bernstein created www.laquiettitleattorney.com, a leading educational resource on quiet title real estate litigation. Nate Bernstein is a local expert on real estate law and economic trends in the real estate and leasing market, business law, and bankruptcy law. Nate has personally litigated more than 40 major real estate trials, and has settled more than 200 complex real estate and business cases. Any statement, information, or image contained on any page of this article not a promise, representation, express warranty, or implied warranty, or guarantee about the outcome of a legal matter, and shall not be construed as being formal legal advice. All statements, information, and images are promotional. All legal matters are factually specific, laws change on a daily basis, and courts interpret laws differently. No express or implied attorney client relationship shall be inferred from any statement, information, or image contained any pages of this website. No attorney client relationship is formed until the client or the client’s representative, and the attorney signs a written retainer agreement.